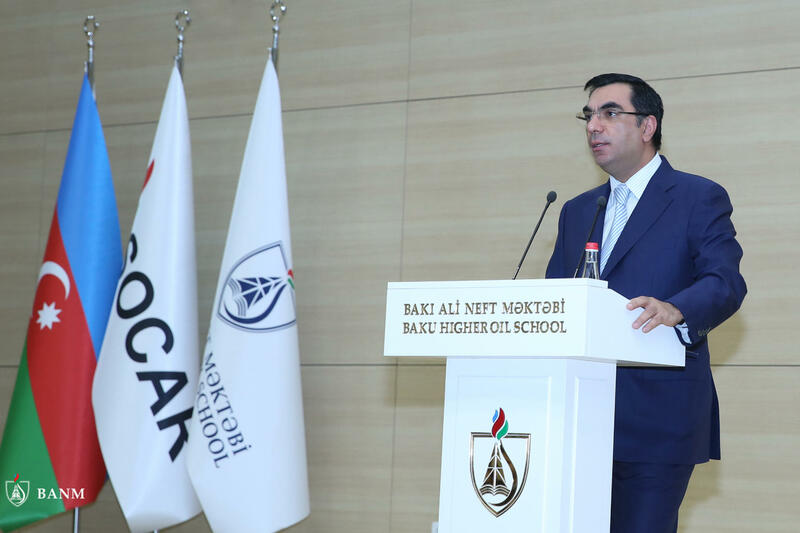 First Students National Scientific Conference dedicated to the 96th anniversary of the National Leader of Azerbaijan Heydar Aliyev started at Baku Higher Oil School (BHOS). 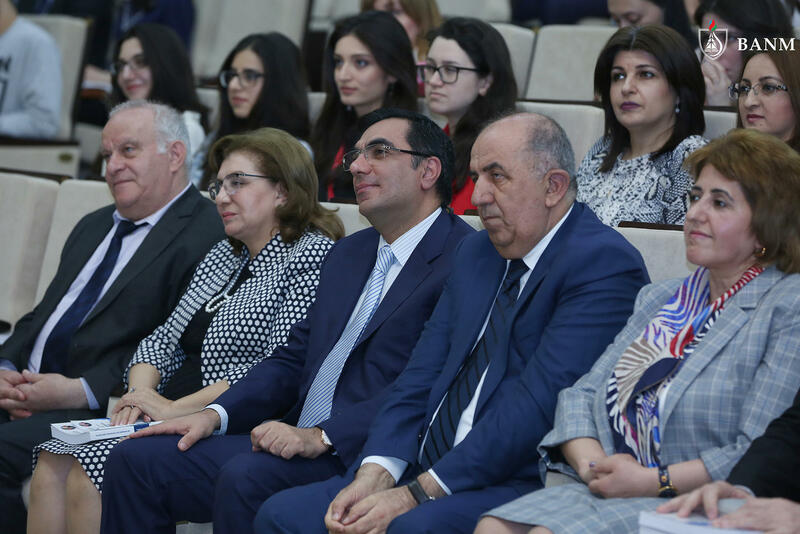 The BHOS management and faculty as well as the representatives of SOCAR and Azerbaijan National Academy of Science (ANAS) joined the opening ceremony of the conference. The event also gathered the academic and administrative staff of the national higher education institutions, including such partners of BHOS as SOCAR Complex Drilling Works Trust, SOCAR Polymer, Huawei, Maire Technimont, ABB, Microsoft, Emerson Process Management and Avandsis Group. 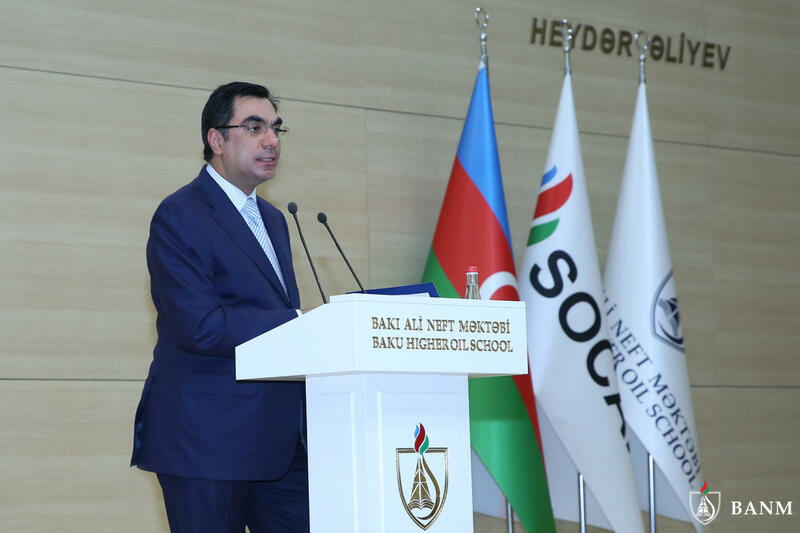 Welcoming the guests the BHOS Rector Mr. Elmar Gasimov stated that organization of the student scientific conferences dedicated to the anniversary of the National Leader Heydar Aliyev has become a tradition as a sign of esteem to his personality. Underlining the essential role of the science and education in the society, the Rector touched upon the measures taken by the Higher School in order to develop this field and the achievements made, as well as the correlation between the development of the national science and education policy with the direct involvement of the youth in research activities. The opening ceremony continued with the speeches made by ANAS Vice President Academician Irada Huseynova, ANAS Active Member, Director of the Institute of Molecular Biology and Biotechnology, Academician Vagif Abbasov, ANAS Active Member, Director of the Institute of Petrochemical Processes, Iskandar Shirali, Head of SOCAR Complex Drilling Works Trust and Professor Aydin Kazimzade, ANAS Corresponded Member and Vice Rector on Science and Innovation of Baku State University who underlined the importance of integrating science and education to support and facilitate the development of the students’ research potential. It should be noted that BHOS annually hosts the student scientific and technical conferences. For the first time this year the conferences, each comprising a number of sections, are taking place under three large headlines: Perspectives in Chemistry and Chemical Engineering, Quality Energy, Quality Service and High Technologies – Innovative Applications. The students representing other higher education institutions of Azerbaijan also participate at the Conference. In general, 177 students and young scientists representing the national higher education institutions and ANAS institutes applied to join the conference. The students have the opportunity to make presentations in Azerbaijani, English and Russian languages. The BHOS partner companies such as SOCAR Complex Drilling Works Trust, SOCAR Polymer, BP, Huawei, Maire Technimont, Schlumberger, ABB, Baker Hughes, Schneider Electric, Halliburton, Microsoft, Emerson Process Management and Avandsis Group will award the winners their corporate gifts, which eventually encourage them to more actively engage in such events. The conference will finish on April 19, 2019.